Potato Grower | by Tyrell Marchant | May 2015 – Every agricultural chemical that hits the market (and many that ultimately don’t) promises big things. Bigger savings, bigger crop uniformity, bigger yields and, most importantly, bigger profits. To be fair, most of them deliver on those promises-when applied in the correct context. 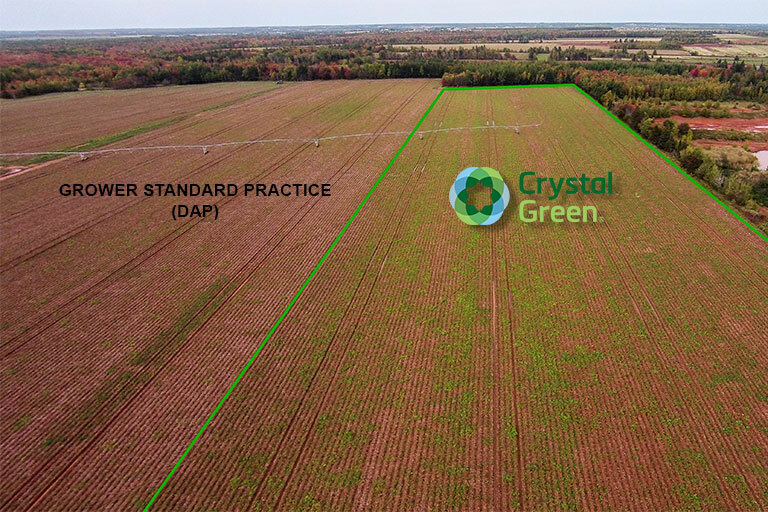 The key difference between Crysta] Green and other phosphate fertilizers is its mode of action: Crystal Green is citrate-soluble, meaning it will only release nutrients in the presence of a growing root zone. When applied at planting, it will release phosphorus throughout the season as potato plants require it.